Ice cream sandwiches are a delicious treat to enjoy on a warm summer day. 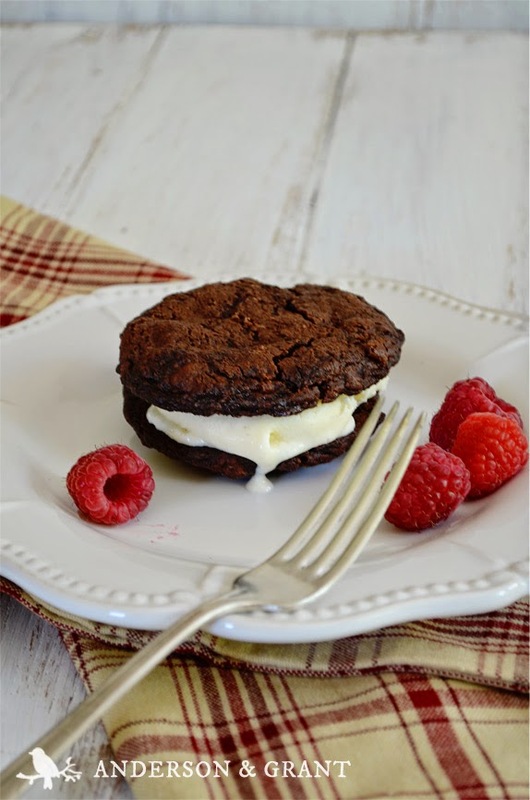 This recipe for Mixed Berry Ice Cream Sandwiches have the addition of dried berries to the homemade chocolate cookie sandwich. Ice cream sandwiches are delicious and a perfect summer treat. I've decided to take the dessert up a notch by making it myself and adding a special ingredient.....dried mixed berries. These dried berries can be found in your grocery store with the dried cranberries, apricots, and prunes and they really taste exceptional when mixed into this chocolate cookie. Preheat the oven to 350 degrees. In a medium bowl, whisk together the flour, cocoa, baking soda, and salt. Using an electric mixer, cream the butter, sugar, and brown sugar until well combined. Add the eggs and vanilla and mix again. Pour the dry ingredients slowly into the wet ingredients and mix just until combined. Chop the chocolate chips and dried mixed berries into small pieces. Fold them into the cookie dough with a wooden spoon. Using an ice cream scoop (or a tablespoon), make equal sized balls of dough. Place them on a cookie sheet that has been lined with parchment paper. Leave space between the balls to allow for spreading. Lightly press on each ball to flatten it, so that the cookies bake and spread evenly. Bake for 10 minutes or until the cookies have puffed and cracked. 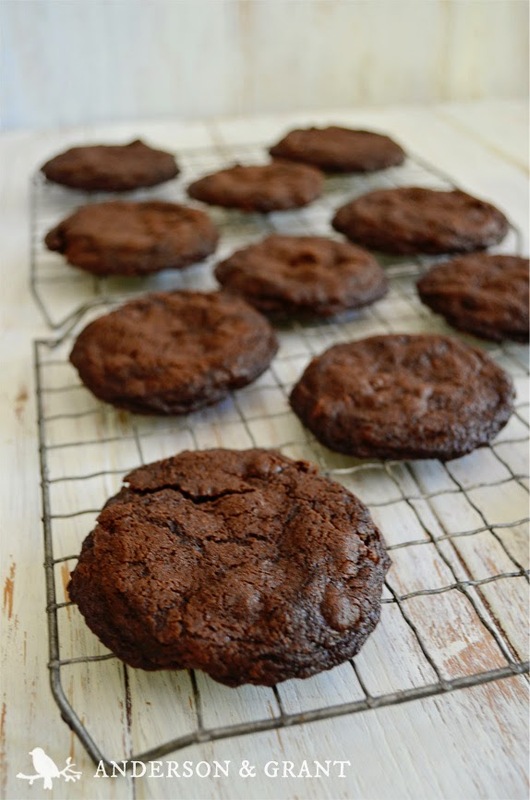 Allow them to cool on the baking sheet for five minutes before transferring to a cooling rack. 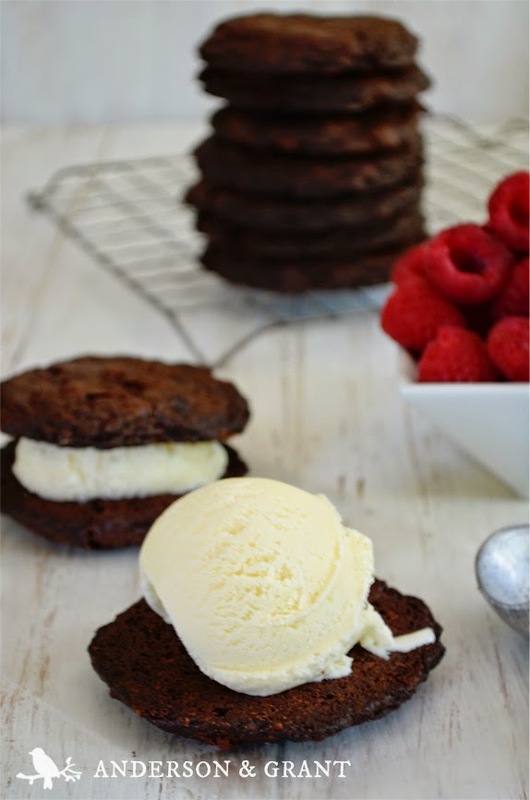 To make the ice cream sandwiches, allow the cookies to cool completely before adding a scoop of vanilla ice cream to the bottom of one cookie. Gently press another cookie on top of the ice cream. 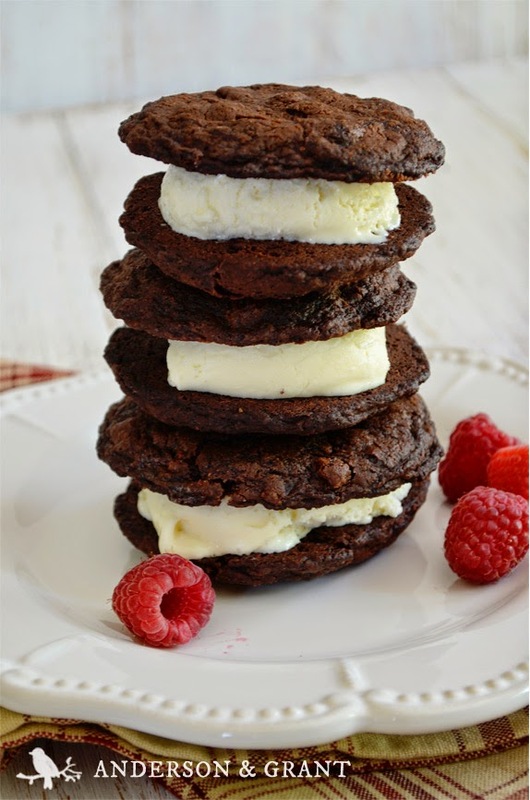 Serve the ice cream sandwiches immediately or wrap in waxed paper and place in the freezer. You'll need to allow the treat to sit a few minutes outside of the freezer before eating to allow the cookie to thaw out. 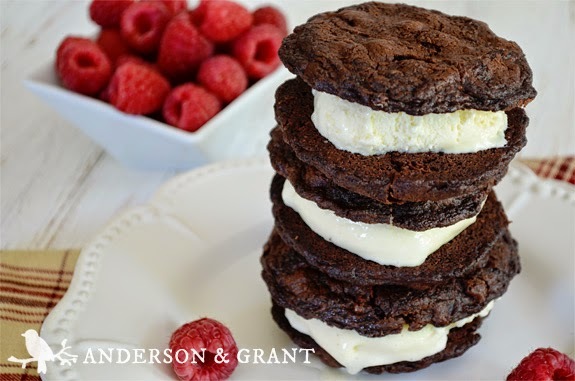 This recipe makes twelve to fourteen large ice cream sandwiches. It can be cut in half or doubled depending on how many sandwiches you could use. You could also adapt the recipe by making the cookies smaller and adjusting the cooking time for them. Try a different flavor of ice cream or add in a different dried fruit. You can make this dessert all your own and change it according to the tastes you like!